I will have a new article fairly soon, but I’ve been travelling so much over the past couple of days, and have so much to take care of here that I just haven’t had time to post anything substantial. I swear I will have one soon. For the time being, I will tell you that I am now in Playa del Carmen, Mexico which is the second most popular city on the Yucantan Peninsula next to Cancun. The city is a mix between a typical Mexican city and, well, a tourist zone packed with foreigners. The main tourist street, la quinta, is about as touristy as they come anywhere in the world. However, just off the main street things become slightly more authentic and, for me, much more relaxing. 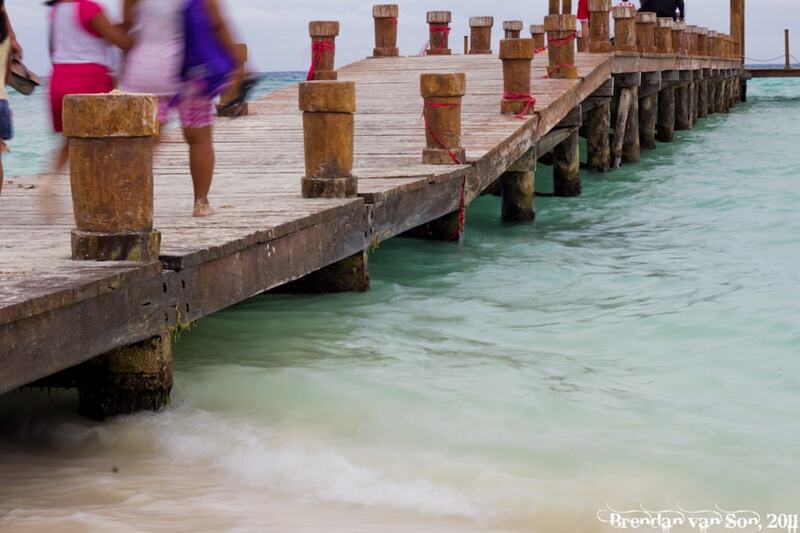 The following photo is from a pier on Playa del Carmen’s main beach. I quite often cheat when I go to a place I’ve never been before. I go to google images and find some locations before heading out to shoot photography. I did exactly that in Playa del Carmen. In one of the very normal photos that showed up I noticed this pier, and made it one of my priorities. I got about 5 or 6 different angles on this pier and was very happy with the results. My intention was to come back and photograph it at dusk, but the rains came in and ruined that plan. I am quite happy with how this one turned out. If you’re a curious photographer this photo was taken on a canon 60d set on a travel tripod with a 50mm f/1.8 lens set at f/22 and a shutter speed of 1/8. I love the water in this shot, gorgeous! The low vantage point & slow shutter speed are cool aspects about this photo. Have fun with your new toy! this is really nice shot. the water looks so inviting.